Creative Skills involving costume making, learning how to play instruments, yoga, mosaics, acting and much more. Healthy Living by following an exercise plan along with cooking fresh meals for lunch every day​. 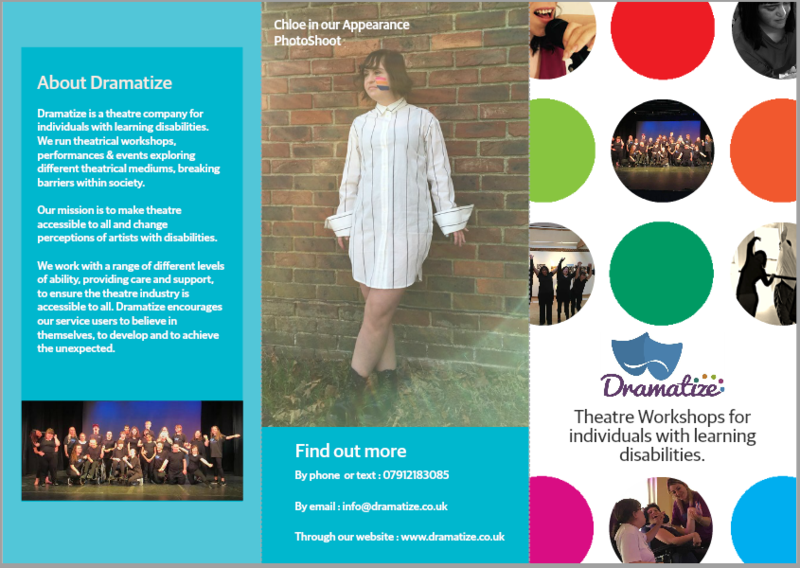 Within each individual's time at Dramatize our team will work closely with their parent/carer to set personal targets to work towards whilst attending our Theatrical Day Service. 1:1 Care can be offered at an additional fee. Enrolling: If you are interested in joining our Theatrical Day Service, please contact us to discuss the service in further detail. Please Note: If the individual already attends a provision, this does not narrow their options. Each young adult can use their Self-Directed Support (SDS) or other funding from their care package, to attend several provisions. We are happy to advise you on this. Disabled toilet / bathroom on the ground floor. All staff members are trained and fully inducted. Training sessions are available both class based and online. Each staff member is trained on individual service users care and support plan and risk management plan. Shadowed by the members of the management. Our activities are tailored and specialized for individuals with learning difficulties, autism and mental health diagnosis. You can send yourself a reminder email three days prior to events taking place. 'Theatrical Day Service ' took place on 12 February 2019.